The company that I started over 40 years ago has been built on four pillars: long-term relationships, teamwork, lifelong learning and integrity. In this issue of Insurable Interests, I would like to discuss how those apply to our individual property and casualty insurance business. Long-term relationships. At The Bensman Group, our individual property and casualty department consists of 10 individuals. Four of these people – Managing Director Kristen Savage, Senior Personal Lines Administrator and Licensing Coordinator Therese Marie Meeks, Operations Director Amy Meyer, and Claims Manager Rob Terranova – have been with the company for more than 10 years. Relationship Manager Catrina Wickman will celebrate 10 years in October. They, as well as the highly qualified and talented professionals who have joined us since 2007, provide perspective and experience in the field as they serve the demanding needs of our clients. Teamwork. Our focus is on identifying customized solutions to the often-complex coverage needs of our clients. In order to do this, we work as part of a team with the clients, their advisers, family members and highly respected insurance carriers. This approach has allowed us to develop many intergenerational client relationships, including serving family members from as many as three generations. Lifelong learning. Our individual property and casualty professionals are not satisfied with simply receiving an insurance license. We are committed to pursuing educational opportunities from seminars and workshops to additional professional designations and degrees to ensure that we are always current with the industry and aware of the leading-edge strategies to serve the specific concerns of our clients. Integrity. We take seriously the responsibility that our clients place in us, and we always demonstrate the highest level of integrity. We offer individual property and casualty coverages in more than 40 states, which allows us to reach and serve clients whose interests are geographically diverse. Our clients have a high degree of personal and professional accomplishments. They are passionate about what they do, and they care deeply about their families, and the people and causes close to them. They need creative, customized, integrated solutions to insurance issues in areas such as auto, property, liability, jewelry, fine arts and collectibles coverages. Our commitment to those founding principles helps us to continue to earn the trust of clients and carriers. It is why our clientele continues to grow, and why we receive referrals from a broad base of accomplished leaders, professionals, clients, and banks throughout the country. We deeply appreciate the trust they place in us. We are always available to help you with any of your insurance or wealth management needs. Contact us at 847-572-0828 or ksavage@bensman.com. 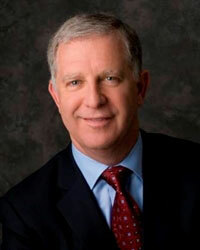 Robert A. Bensman, CLU, ChFC, RHU, is founder and CEO of The Bensman Group.